Get your family ready for some all-inclusive happiness in the Caribbean thanks to IBEROSTAR’S Kids Free Sale. Imagine pristine beaches, sand castle contests, snorkeling adventures, mouthwatering international dishes, fun-filled days at the Kids Club and so much more from just USD 67 PP/PN! 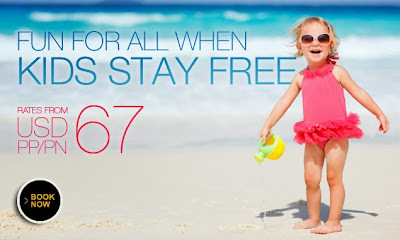 Simply book your family stay in Mexico (Riviera Maya and Cozumel), Jamaica or the Dominican Republic and enjoy the relief of your children loving all these all-inclusive wonders for free. Pack your bags and book today!